A while back I posted about making shamrocks from penny's hearts. 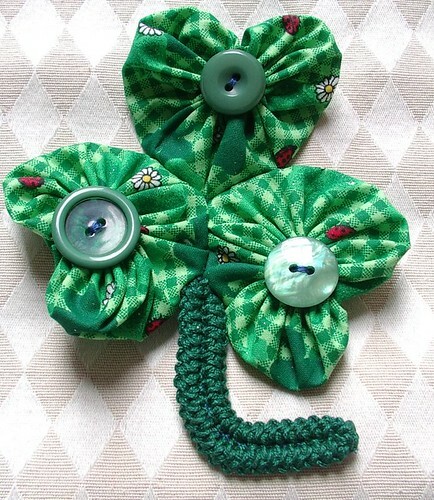 You can either use her heart pattern or make real sweet little ones with the yoyo heart templates made by clover; either way you still have plenty of time to make some before St. Patrick's day. I love the shamrocks. I am crazy about using buttons in everything too. Thanks!